Back in 2006, we covered the launch of Windows Live Spaces, a blogging service for Windows Live users. Today the service is headed in a new direction: Microsoft has teamed with Automattic, the company behind WordPress.com, to transition its users over to the popular hosted blogging platform. The news was just announced at TechCrunch Disrupt by Dharmesh Mehta, Director of Product Management for Windows Live and Toni Schneider, CEO of Automattic. Microsoft says that it decided that instead of building its own competing blogging service, it should go with WordPress’s fleshed-out feature set, which has 26 million users and powers over 8.5% of sites across the web. 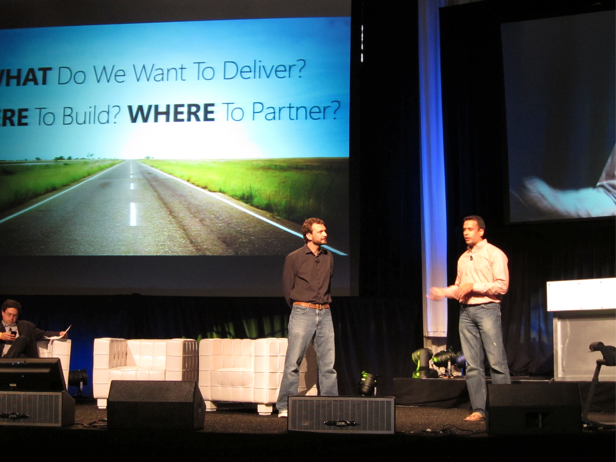 Users will be migrated through a process that preserves all of their content, and will automatically redirect visitors who head to their existing Microsoft Live Spaces sites. Users will have a few choices when they hit the transition page: in addition to transferring their content to WordPress, they can also opt to download and store it locally, delete it entirely, or put off their decision for a while). But Microsoft is going to be killing off the existing Spaces product in six months, so they users won’t be able to put off the decision indefinitely. When Live users go to establish a new blog, they’ll be directed to a WordPress signup screen. Schneider says that this isn’t a financial deal. 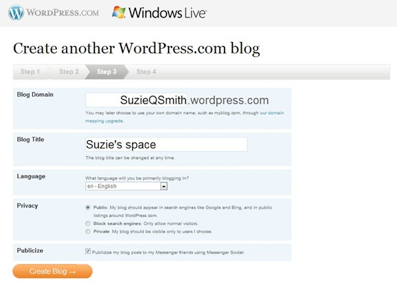 Another feature launching as part of the partnership is the ability to connect WordPress.com blogs to Microsoft’s Windows Live Messenger. The feature is pretty straightforward: publish a new post on your WordPress blog, and Messenger will send notifications to your friends’ feeds. Continuing live coverage can be found at our day one omnibus post. Don’t forget to tag your disrupt-related posts and media with #tcdisrupt!